There was a climate of cautious optimism in Athens and Skopje over the weekend ahead of fresh negotiations on the Macedonia name dispute in New York tomorrow. Bakoyannis is to meet her FYROM counterpart Antonio Milososki on the sidelines of a European Union summit in Slovenia on Friday to discuss any headway made in New York by the two country’s representatives in United Nations-mediated talks. 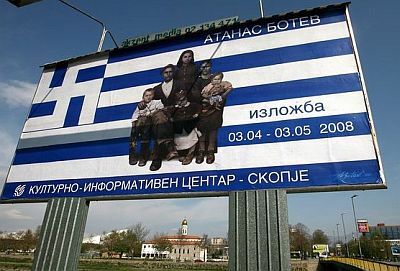 On Saturday, FYROM’s President, Branko Crvenkovski, stressed the need for a “logical compromise” to the name dispute. FYROM’s envoy Nikola Dimitrov told reporters he had been given “precise instructions” but did not elaborate. 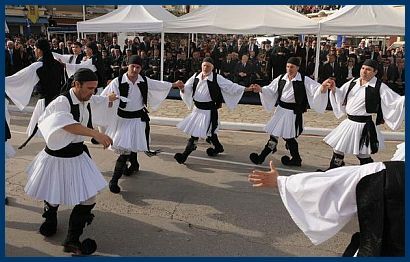 Posted by grhomeboy in Culture History Mythology, Greece News, Greek Diaspora, Special Features. 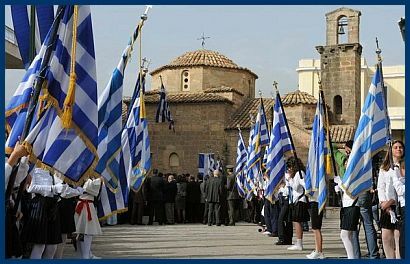 It is with great pleasure and emotion that I am communicating with you on this historical day [25 March 1821] of National rebirth that brings to our minds so many memories and which is full of meaningful messages to Greeks, all over the world. 187 years ago, our ancestors, deprived of any substantial material means and falling short in number, motivated by the dream of a free homeland, fought against not only a powerful enemy but also against the prevailing status quo, which was dominant in Europe of the 19th century. It was an unequal fight, and seemingly destined to fail; however they won. They won because they believed in what nobody could even conceive, sacrificing their lives in the battlegrounds, unwilling to compromise themselves with the idea of defeat, which would have resulted in the loss of the dream of freedom. They won giving to us a free Greece, which with many efforts, sacrifices and hard work has earned the respect and the appreciation of its partners amongst the Nations. 187 years after, the challenges that our country is facing are different but not less important, consisting in the preservation of its territorial integrity, the protection of its cultural legacy and the defense of its rights. The battles are fought on a daily basis, not on battlegrounds, but in various fora, and as Greeks we are expected to prove that we are worthy of the legacy that our ancestors left us. We should never forget that what they achieved was the result of unity and resolve in the final cause. Let us then proceed as of this day, guided by the very same elements, proving once more to the rest of the world that the greatness of nations is not computed and measured by digits, numbers and material means, but by the heart, the courage and the grit shown whenever circumstances are challenging and demanding. We owe this to our ancestors, and furthermore to our children and ourselves. From the bottom of my heart, I wish you all health and prosperity, and I avail myself of this opportunity to extend to you my warmest patriotic greetings. Sparta Volume 3 No 2. Discovering Ancient Spartan and Greek History > The second issue of the Sparta Journal, magazine’s third volume, continues to be a unique journey to ancient Spartan history. Markoulakis Publications have produced the second issue of the third volume (volume 3 no. 2) of the printed and online educational periodical entitled Sparta. The periodical is accessible for review purposes for all visitors to the following website > www.sparta.markoulakispublications.org.uk. Read about the decision-making of Sparta and answer the question: what was the theory that propelled Sparta into war? Read the answer written by Nikolaos Markoulakis. victorious. Travelling with Xerxes on his march to Greece was ex-king Demaratus of Sparta. Should that king be Leotychides, or the much more respected Leonidas? Was there any hope of stopping Xerxes? Read the answers written by Robert Montgomerie. In the Odyssey, Telemachus, searching for news of his father’s return from the Trojan war, visits King Menelaus and Queen Helen at Sparta. Explore the King Menelaus’ palace complex with the assistance of Robert Montgomerie. Believe it or not, there is such a thing as “Doric Philosophy”. The Doric Greeks of Crete and Laconia did practice philosophy and may be the founders of Greek philosophy. First, this article is about doing forensics; rediscovering Doric philosophy. It is about restoring some things that have been lost or obscured. Second, this is a “general overview” article. This article doesn’t go into detail but covers rapidly many points and ties them together into a coherent whole. This article is about generating interest and further research and speculation. By W. Lindsay Wheeler. Focusing on an unusual 6th century monument discovered in Sparta, this article seeks to identify the two couples depicted on its broad sides and the function of the standing snakes on its flanks. The aim of the article is not only to resurrect discussion of this highly unusual monument after a period of neglect, but to bring to the readers’ attention, with both text and images, some aspects of Spartan visual culture in the 6th century with which they may not be familiar. Written and illustrated by Jane E. A. Anderson. The periodical is available for subscribers in both print and electronic versions. To view the subscription rates and prices, visitors should go to the Sparta website and follow the Subscribe & Order link. This will direct them to the subscribers’ choices and prices. The website electronic payments use Paypal. 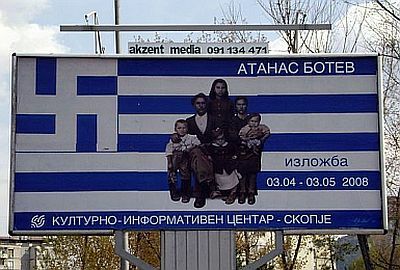 Sparta (ISSN 1751-0007) is an incorporated title with the Journal of Laconian Studies (ISSN: 1749 5814) and the former Sparta’s Journal (ISSN 1747-0005). The free electronic version of Sparta’s Journal is available on the Sparta website under the Volume’s Archive link. The website also offers a great number of free monthly articles, news and announcements that focus on Spartan and ancient Greek history.